The Rebs lost between 400 and 500 our side about half as many. We captured between 3 and 400 prisoners and drove them from their position...Charles Van Wagoner, Co. C, 141st N.Y.V., Nashville, Tennessee, 2d Brig. 3d Div. 11th Corps". 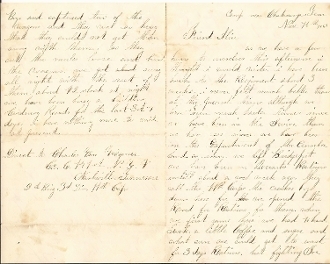 For more of the content of the letter, please see the scan.